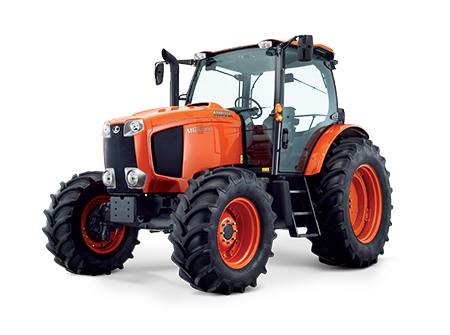 The Kubota M135GX is engineered to deliver maximum power and torque output with outstanding economy and low emissions delivered by an advanced turbo charged 135HP 4 cylinder CRS Kubota diesel engine. Featuring a number of performance enhancing features including PTO, Intelli-Shift transmission and high performance hydraulics for enhanced productivity. With one of the largest cabs in its class, the M135GX offers unsurpassed comfort and visibility. Kubota’s own 4 cylinder, 6.1 litre engines deliver ample torque for powerful lugging and constant power for demanding PTO work. 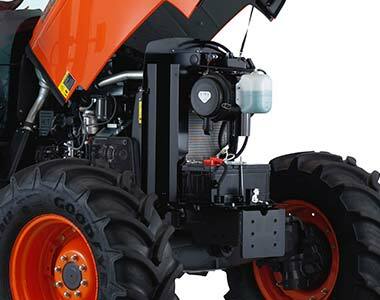 Kubota engine technology is designed to maximise performance and leave a light environmental footprint. Common rail injection and a torque boosting waste-gate work together with gas recirculation and particle filter for an optimised balance. The Kubota Intelli-Shift 24 speed transmission tackles any farming job with ease. It is at home in creep speed applications, fast transport and anywhere in between thanks to the clever coverage of gear and range ratios. 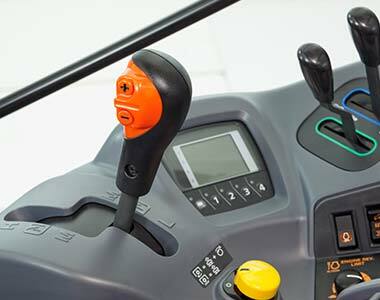 Tractor operation is push-button-easy and can be automated to make life easy and boost productivity. Take control of engine revs, cruise speeds, gear changes and headland functions. The unique Kubota heavy-duty bevel-gear front axle design allows for high ground clearance, tight turning and driveline-assisted Bi-Speed turn – a Kubota exclusive that reduces the turning circle dramatically. Flexibility with wheel equipment is a strength of the MGX series. Kubota stocked standard wheels cater for a raft of applications and tailor-made solutions can easily be added. Ballasting options for increased traction and stability round off the professional choice. The Kubota Grand X cabin does justice to its name. 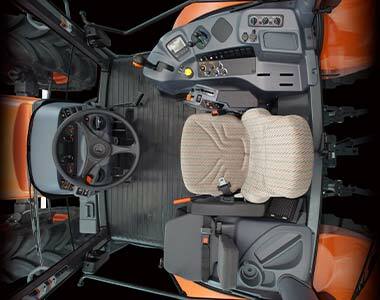 Every inch is designed with operator comfort and ergonomics in mind. Nothing is out of place, every component is easy to identify and within reach. Invite a passenger into the cabin and share the experience. Visibility is paramount for a safe and efficient working environment. The Grand X cabin offers an unsurpassed field of view from every angle; and the roof panel allows improved sight of a raised front end loader. 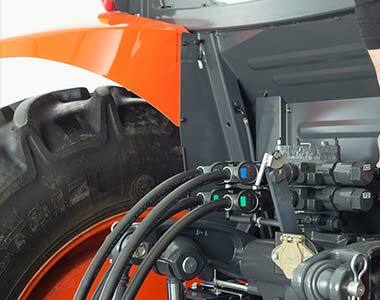 Linkage, hydraulics and PTO are designed for serious farming. With up to 5.2 tons of lift capacity, hydraulic valves with adjustable flow and a 2 speed PTO the MGX models are true all-rounders. The Kubota LA 2254 front end loaders are integrated into the MGX tractor design and convince with great visibility, quick cycle times, responsive controls, high capacities and extremely easy attaching. A perfect match to the capable MGX series.